PH: Where were you born and where did you grow up? CA: I was born in Mar del Plata, Argentina. Yes, I speak fluent Spanish and I grew up in Atlanta, GA.
PH: Tell us about your family. art studio! But in the meantime, the dining room table suits! PH: How would you describe your style? is a form of expression and some days I want to explore a different direction. PH: What is your favorite thing you have ever created? PH: Shark diving, bungee jumping or sky diving? CA: I am terrified of heights, but would love to try sky diving (once). PH: Tell us about the best vacation you’ve ever taken. topped, but will continue to try. PH: Which creative medium would you love to pursue but have not yet? CA: Welding, playing with fire and creating 3D sculptures! PH: What is your favorite type of music? PH: What’s the first artwork you ever sold? CA: I honestly don’t remember, I can’t remember yesterday! PH: What do you secretly like to do outside of painting? CA: I love to bowl and I’m not too shabby! PH: What were you like in high school? sports and basketball was my sport. PH: What is your favorite cookie? CA: Café Caturra’s Royale cookie! It’s the BOMB! PH: A place you are happiest? CA: My “happy place” is when I’m simply creating! PH: Thank you so much for sharing a little bit about yourself. We love what you do and are super excited about your show! 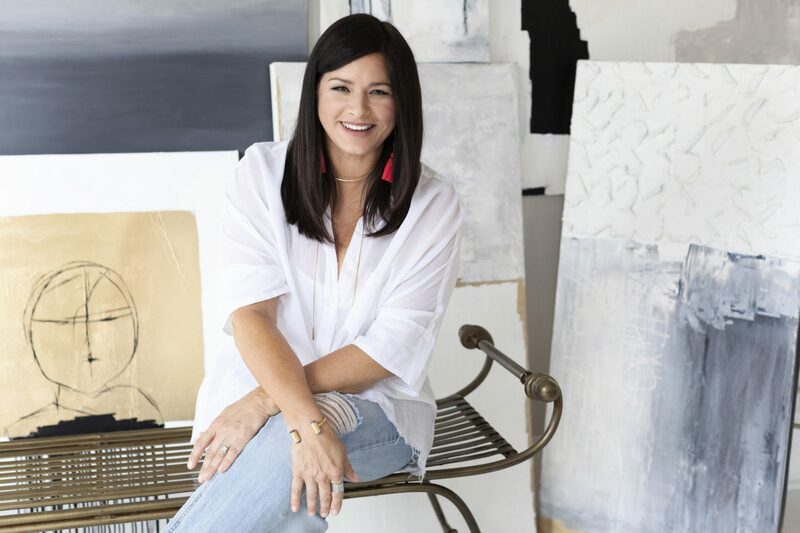 Born in Mar del Plata, Argentina, Carolina grew up in Atlanta, GA and currently lives in Richmond, VA with her husband, Hunter, and 13 year old son, Hudson. Carol has always had a passion for creating “ART”. She has been creating in one way or another since childhood. She is a self-taught artist with works that range from abstracts in oils, acrylics, textures and mixed media. Her art is always changing and evolving, as she is not afraid to work out of the box by using different mediums. 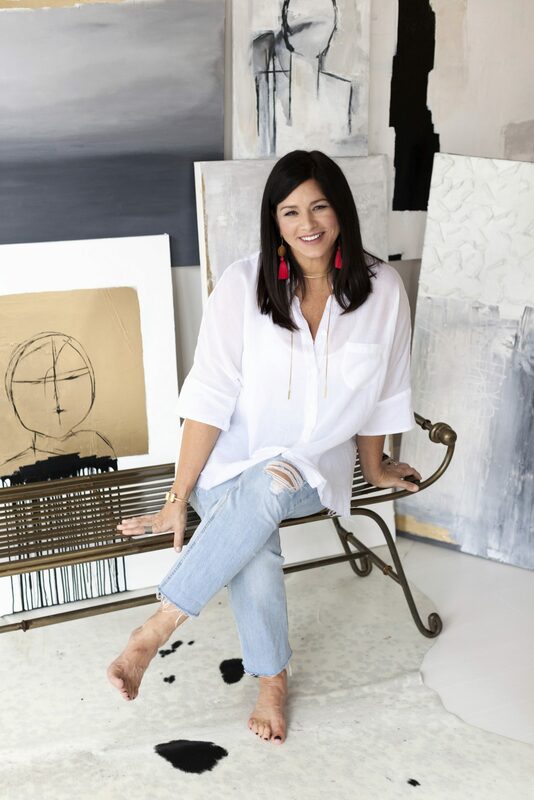 She takes inspiration from anything and everything and focuses on shapes and architecture – gravitating to simple lines and shapes, adding texture and layers using a knife and other tools to create depth. Encouraged by her husband, parents and three brothers to put herself out there she has slowly had the courage let go and just go for it! The outcome has been rewarding. 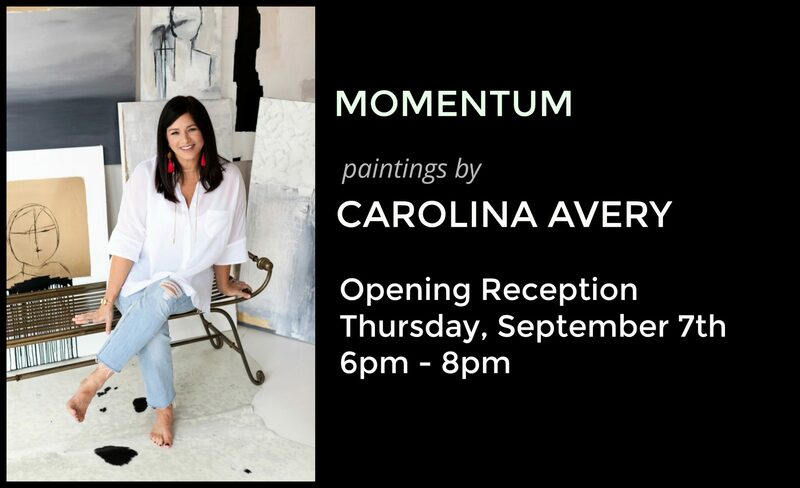 She has had a steady stream of friends and acquaintances that have purchased her paintings and her work has grown mostly by word of mouth and is hoping the “Momentum” continues! Carolina Avery’s original paintings will be showing at Palette September 2017.